Welcome to the Guest Ranch-Exotic Game Hunting. Please take a look around our site to see the wide variety of exceptional Exotic animals that we have on the Ranch for your personalized hunting experience. For the past years we have been importing and breeding exotic deer and sheep for individual and group hunts. Come join us for a great hunting experience. 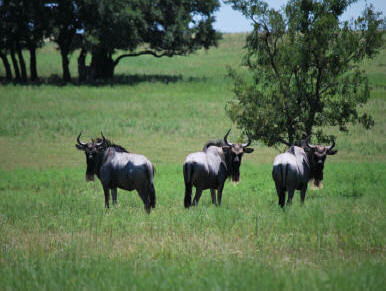 The Guest Ranch is located in North Central Texas in the heart of deer country. Also check out our new accommodations with a brand new on site hunting cabin for your convenience. Trophy hunting at its best. Elk hunting can be done in Texas year round. The only license needed is a small game license, which includes the hunting of all exotic animals in Texas. Additional fees apply to non-residents of Texas. We also offer Whitetail Deer hunting during the regular Texas season. There is more to d0 than just hunt while enjoying your stay at the Guest Ranch. We have several stocked ponds on the ranch ranging from 3/4 acre to a 12 acre lake. The larger ponds are stocked with Florida Hybrid Bass, Hybrid Bluegill, and of course Channel Catfish. Our new hunting cabin is located next to this 12 acre lake.